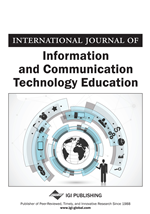 The objective of this research is to determine whether there is a difference among computer system users in the perceived usefulness of online system documentation versus printed system documentation. Recent trends in the computer software industry have seen printed system documentation replaced by online system documentation. This has resulted in a debate among computer software system users with regard to whether or not they can successfully learn and use the software with only online system documentation. A survey was conducted of information systems professionals. The survey respondents completed a survey that asked them to rate online system documentation and printed system documentation for the mainframe and PC platforms and also for specific tasks. It was found that system developers on PC platforms had a strong preference for using online system documentation versus printed system documentation. On both PC platforms as well as mainframe platforms, there was a significant difference in the perceived usefulness between online documentation and printed documentation for performing specific tasks. For tasks that involved searching for specific information, users preferred the online documentation. For tasks that involved initial learning about the system, and for tasks that involved a significant amount of reading, the users preferred the printed documentation.